I am a qualified teacher that loves innovation and new methodologies. Currently, I am working as a language assistant in London where I am learning how to implement new techniques, activities and games. In short, a new whole approach to teaching that has enriched my profile as a teacher. I have learnt how the British system works and the importance of preparing appropriately the external exams such as GCSE or A-Levels. Among my duties, I am responsible for planning and delivery lessons every week as well as the design and correction of exams. Likewise, I have been preparing students for the GCSE and A level exams analising their weak spots and designing activities to help them improve. I am truly enjoying the experience since I have grown as a teacher learning how dynamic lessons and connecting with students help their learning process. The fact that I am out going and thanks to my adaptation skills, I have been able to adjust to a new education system as well as to establish a good teacher- student relationship taking into account the different cultural background of the students and making the most of it. I love sharing my enthusiasm for new cultures and helping people discover other cultures. Apart from this year experience, since 2009, I have been doing private tutoring and I feel that language and culture should go together. In addition, it is usually a fun and a dynamic methodology that engages students what has worked for me. Motivated students tend to work harder and have a much faster development. Getting to know your students and incorporating their interest into their lesson makes learning a language easier and students enjoy themselves while learning. I am really in favour of a student-centered pedagogy that prioritizes the students’ needs and learning process. I am a Spanish qualified teacher with a master’s degree in teaching Spanish as a foreign language with a wide experience as a private tutor. Whilst studying for my teaching degree I worked in a holiday camp association that was in charge as well of several extracurricular and support teaching projects within local schools, as a monitor, teacher and for a brief period, a manager. I then started becoming aware of how hard the economical crisis was striking the education in Spain and I started thinking about moving to London as I had several friends living there which suggested me so. It was then that I found out about this master’s degree in ELE (teaching of spanish as a foreign language) offered by the UNED (spanish university of distance studies). At that time I decided to specialize in the teaching of my mother language. I spent my first year in London studying english courses, volunteering in order to enhance my english speech as much as possible, and working on my master’s degree, along with the development of my own projects, activities and teaching units that I use to teach spanish to the pupils I managed to gather offering spanish tuition on gumtree and similar websites. When I grew confident enough on my language prowess I took the IELTS test in which I achieved an overall punctuation of 7 and decided that it was time to try and take a step further. My teaching method makes use of my pupils personal interests and connects them with the spanish language and culture through a comprehensible input. I am foremost keen on my students enjoying my classes while they achieve competency in an immersive yet chilled atmosphere that makes the language acquisition process natural, rather than a harder, deliberate learning. I think I would be an asset to your academy as I have loads of projects and enthusiasm, a wide, academic knowledge of the 6 oficial levels of the spanish language determined by the Instituto Cervantes and a set of full-fledged pedagogical skills thriving to be tested. French teacher with six years of experience in French as a foreign language in Barcelona (Spain). I’m an energetic, passionate and open-minded professional who takes pride in her ability to successfully deliver and plan classroom lessons effectively within the National Curriculum and Schools subject plans. I’m concerned the skills and understanding of a range of teaching, learning, assessment and behaviour management strategies needed to make a positive impact on the progress of pupils. As a result, I promote iniciative to help pupils exploit their potential and motivate them to use French on a daily basis. I have good disposition to work in a team and adapt myself to a new environment. I’m looking for a career advancement opportunity at a school in USA. I’m able to teach spanich as a foreingn language. I am an experienced foreign languages teacher. I come from Argentina and I have been teaching English as a Foreign Language for over 9 years now. I also specialized in ELE. I took the ELE course at International House and I am a certified English as a Foreign Language Teacher. Moreover, I have been accepted at Barcelona University to start my master on ELE in May, 2015. I have a passion for teaching which makes me love my daily work more and more each day. I love planning and preparing my lessons carefully and I use lots of motivating material to inspire my students. I have teaching experience on all levels of Primary School. I have also worked with adult learners for more than 5 years. I moved to London, UK one month ago and I am seeking for a motivating and challenging job which will give me the possibility of doing what I like most: teaching and sharing my culture and learning from my students in return! After working in the airline business as a senior international/corporate reservations agent in a trilingual capacity for five years, I took the decision to focus on teaching languages and never looked back. I have taught the English, Spanish and German GCSE and A Level (all exam boards) curriculum to pupils at Top Tutors Ltd. for the past 4 years every afternoon/evening during the week and on Saturdays as well. It is a fantastic job and my dedication to students – and their parents – takes a very central role in my life. My lessons are dynamic and cover the entire spectrum of AQA, Edexcel, OCR and JWEC from foundation to higher GCSE, Cambridge IGCSE, and A Level. I have a cornucopia of student essays, projects, creative writing and engage large groups just as well as one-to-one or small groups. 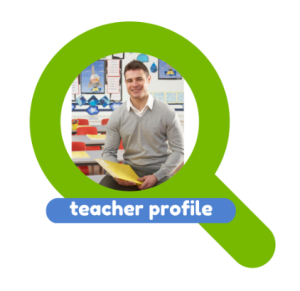 I’m currently working at various secondary schools in the borough of Ealing – a resident of nearly a decade – which has afforded me much practice in classroom management and a holistic approach to education. However, I am looking for extra hours from Monday-Friday from 9:00 a.m to 15:30 p.m and am considering roles that may become more permanent than that of a Teaching Assistant. I am used with the communicative language teaching. I teach through audiolingual method many times, I believe that if we mix both methods we can achieve our goal of good language acquisition by making students interact and communicate like if they were in a real context of communication, for instance, a job interview, lecture, or a simple dialog. It is important that we use authentic material and pay attention to students probable mistakes. If theachers make sure students are learning, s/he can elaborate a conversation based on recent news. Being a good teacher can be the most rewarding and exciting job in the world, however it demands broad knowledge of subject matter, curriculum, and standards; enthusiasm, a caring attitude, and a love of learning; knowledge of discipline and classroom management techniques. In order to be a good teacher we have to practice day by day not forgetting to have lesson plans that give students a clear idea of what they will be learning, what the assignments are and what the grading policy is. Assignments have learning goals and give students ample opportunity to practice new skills. The teacher is consistent in grading and returns work in a timely manner. Effective teachers use facts as a starting point, not an end point; we ask “why” questions, look at all sides and encourage students to predict what will happen next. We ask questions frequently to make sure students are following along. They try to engage the whole class, and we don’t allow a few students to dominate the class. We keep students motivated with varied, lively approaches and we are always highly accessible. For a number of years I have worked in various teaching roles, tutoring both children, teenagers and adults on a wide range of subjects. I have worked in two academies: Diagemes Academy (Madrid, Spain) from January 2011 untill July 2011, where I thaught English and Spanish classes (developing quizzes, exams and homework). And also in the academy: Academia Campus Formación (Madrid, Spain) in June 2013 (intensive classes), as a law Tutor, assisting university law students with various modules and exams which they were preparing for as part of their degree. Also, I have been a private Tutor (Bilbao, Spain) from September 2005 untill July 2014, teaching a wide variety of subjects to students from 5 years old upwards, including law subjects. Also, I have experience teaching a boy with special needs. I taught him all the subjects for a year. Nowdays, I teach a student Spanish. I adapt to suit every students individual need because each student is different and I think that the key is that in order to get a good results in the class and to take advantage of them. I teach to get the basis of the language, because when a student has the basis is easier to learn the language. I teach in a easy way, being patient, repeating the times that are needed. But, also, if the students want the class to be quickly, the class is more quickly. I love to teach and I think that when you do something that you love the results always are good. Mainly, it makes a great teacher my clear vocation as a teacher (I want to be a Spanish teacher) and the way that I explain the things, changing the difficult things for easy things and explaining in different ways and with different examples. Also, my 10 years of experience teaching differente subjects tutoring both children, teenagers and adults provides me a long and a polyvalent experience as a teacher. I can teach many subjects to many different people, and I think that it means that I am really a great teacher because I adapt to suit every students individual needs. I have always wanted to teach. I started doing some tutoring when I was at University, in the afternoons I was helping kids with their homework or boosting their learning in some subjects. When I finished my Degree as a Primary teacher I decided to focus in teaching Spanish as a foreign Language, as I wanted to travel and i love teaching I thought this would be a great idea. And it was, I came to England 3 years ago and since then I have been trying to develop my self as a Spanish teacher, I did a course with the University of Barcelona to specialized myself in teaching Spanish and since then I have been working as a Spanish Tutor on my own in London. Last October I moved to Leek, a town close to Stoke-on-trent with the aim of opening a Spanish School, but people in there was not very keen to learn languages, I was teaching to kids and adults in groups and to some of them one-to-one tuition. Also I prepare activities for them to work in pairs, or I bring a topic and we discuss it during the lesson to practice the speaking and listening and also learning new vocabulary. What makes me a great teacher is that I am passionate about it. I expect that all my students will achieve their objectives, and this my aim, to make their learning successful and enjoyable. Their improvements boost me to keep on teaching, and so far I love it. For all this, it is important to plan the lessons and set the objectives before, this is something I do and explain to the students at the beginning, so they know what will learn and it helps me to guide them. I like to be organized. As I like what I do, and I teach Spanish, my mother language, I like to immerse my students in the Spanish/Latin culture to make their learning more attractive and motivating. I like to have a good communication and relationship with all my students so they can feel comfortable during the lessons as some people feel “shy” to speak a foreign language. With a diploma in Teaching training, a bachelor´s degree in Anthropology, a Master’s degree in Translation and interpreting and a Master´s degree in Applied Linguistic in Spanish as a foreign language, I would love to put my skills in your high school setting and I will try to describe you how below in this letter. I have 8 years’ experience as a Spanish and French teacher and as a foreign language coordinator around France, Spain and the U.S.A. I have been teaching in a high school in Albuquerque, in the U.S.A. as well as at the Instituto Cervantes, which allow me to know and understand different systems and learning backgrounds. I am currently teaching as a Spanish assistant teacher in the University of Roehampton, London. This background has enabled me to develop a special rapport with different groups of population: among my students there are teenagers of different, nationalities, backgrounds and learning styles. My philosophy of teaching foreign languages comes from my own personal experience as a student, a teacher and a traveler. I am the actual proof of how foreign languages increase your personal and professional chances of succeeding. My beliefs center around the following general ideas: (i) the target language should be used as much as possible in the classroom (ii) the teacher should make the importance and use of the target language clear to the students but without imposing it (iii) the teacher should make the class fun and enjoyable for the students (iv) the students should be as involved as possible. The use of technology, and the sports, hobbies and games I have been taking up during all my life (yoga, dance, and swimming, rock-climbing…) are an excellent way to ensure these goals and enhance the experience both for the teacher and the student in modern classrooms. I also believe that classroom instruction should focus on creating an environment as similar to immersion as possible. For example, teachers should make every effort to only use the target language and encourage students to realize that communication is the key, not perfect grammar. But the most important factor to consider is the beneficiaries targeted; help them to get confident about their language skills to reach their goals without forgetting their individual needs as students and people. That’s my objective and the reason why I want to be part of your community of learners. My own personal experience as a student, tutor, and teacher. This has make me understand the way languages are learn, mixing personal feelings, motivation level and most important, understand the language as a tool to develop your professional carrier, your social network and to enjoy and life the Hispanic culture . This has guided me to actively consider the methods used by my own teachers and collages as well as to monitor the progress of students I helped or taught developing a one-to-one path of communication and a assertive personality. I am a native Spanish teacher with French and English as Second Language and with Qualified Teacher Status, specialized in Secondary Education and with relevant work experience in Primary and Secondary Education both in Spain and in United Kingdom. I am currently settled in East London. I am hard-working, responsible, dynamic, willing to learn, positive and very creative and communicative. As regards my teaching experience in United Kingdom, my position as a Spanish Language Assistant in a Secondary School in Wales during a whole academic year provided me with the opportunity to gain experience in teaching Spanish as a Foreign Language and also to teach according to the British Modern Foreign Language curriculum. I also have work experience in teaching English, Spanish as a Foreign Language and French in different schools and language academies in Spain, which has permitted me to adapt to different environments, to have the ability to deal with students of different levels in class, to create new materials and resources for teachers and students, to work cooperatively with the Modern Foreign Language Department and the Language Clubs and also to carry out all the duties associated with the teacher position. I have a deep interest in Education and Languages, especially in English, French and Spanish. This can be observed in the fact that not only am I graduated in English-Spanish Translation and Interpretation with French as a third language, but I also studied abroad at Birmingham University and I have completed several educational courses, a Preparing to Teach Course at Swansea Metropolitan University, a Theoretical and Practical Specialization Course of Spanish as Foreign Language certified by the Cervantes Institute and a Master of Teaching in Secondary Education, Further Education and Vocational Education with the specialty of Modern Foreign Languages: Spanish and English. First of all, I consider myself patient with students of all the different learning levels in class. I am very positive and enthusiastic with students, teaching and learning and over all with my subject. Secondly, I am respectful with all students since I like to create a very good and peaceful atmosphere in which we can debate about different topics without any lack of respect of people. Thirdly, I am very creative and innovative because I am always creating new materials and games to make lessons more dynamic. Finally, I also consider myself a professional teacher because I am always willing to learn about new resources, educational matters and also to learn from my own students.